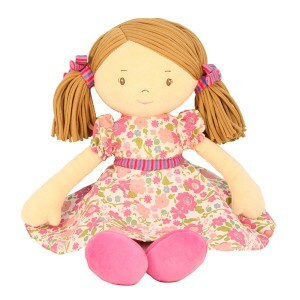 Sadly after many years, the Anisa rag dolls have been discontinued but we still have plenty of stock. Your last chance to grab a bargain. 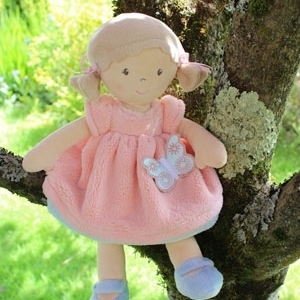 Emma is made from certified organic fabrics, making her extra special. She comes in a giftbox. 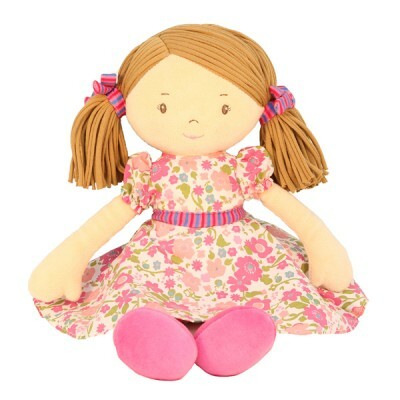 Katy is our best selling doll and we can see why – she just oozes gorgeousness! If you’re struggling to choose, Katy is a safe bet. Don’t forget the boys. 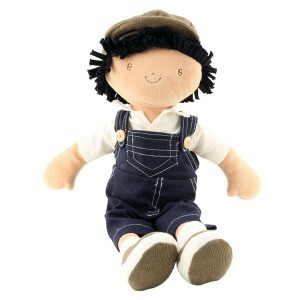 We have boy rag dolls too. Joe and Jack are both cheeky chaps. This is Joe. 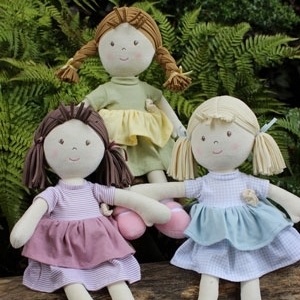 We can’t describe how gorgeously soft these dolls are. Perfect for first cuddles. Our chic range of stylish animals and dolls will bring a bit of class to any room. They just simply look good. 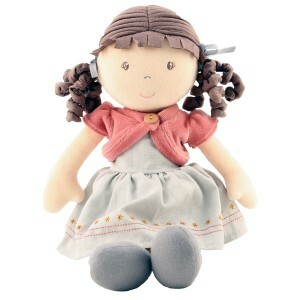 We stock the full range of Imajo rag dolls and soft toys. handmade or simply because they are reminiscent of traditional toys from times past, in a world where plastic and throwaway toys dominate. That is why we fell in love with the new Bonikka range as they are inspired from an old porcelain doll handed down the generations. They really are a step above the average rag doll. 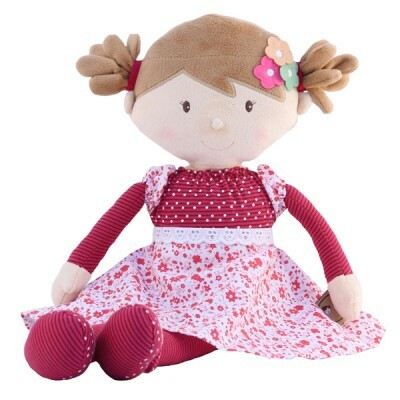 We are also extremely fond of our original Anisa collection dolls and always will be. For years they have become favourites and new best friend. We always keep plenty of stock so we won’t let you down.